Treating a Broken Leg like Mental Illness. Watch Part 3 of Michael Hempseed's informative video on Understanding Depression. I recently came across the special issue in the Australian and New Zealand Journal of Family Therapy from 2017: Relational Trauma and Family Therapy. Linda MacKay’s descriptions of the articles contained therein had me so enticed I couldn’t decide which article to read first. Having heard Jonathon Baylin speak in Christchurch a few years ago, I started with his brief article - Social Buffering and Compassionate Stories: The Neuroscience of Trust Building with Children in Care. The article is presented in Dr Baylin’s easy to digest engaging style which makes one wish it was more than five and a half pages long, but packs a lot into those pages. Read more of this reflective article on building trust with children dealing with developmental trauma. Join this workshop where we will focus on how to help young people make wise choices about alcohol and other drugs. FASD - BPD - CPTSD - ASD - nosLD - are you confused by the alphabet jungle? There is a growing understanding that often mental illness is much more complex than straight anxiety and depression. Often a young person will present with several mental illnesses or challenges. They may experience joblessness, homelessness and isolation. This can often be overwhelming for many professionals. In this practical workshop we will look at new research around co-existing problems and look at some practical steps that professionals can take to help clients who are often put in the "too hard" basket. We will also look at some screening tools as well as discussing ways to build resilience in young people. Get more information on this Alphabet Jungle workshop. In our rapidly changing social media landscape helping young people to navigate relationships is more important than ever. Find out more about this workshop on relationships. The programme for this year's largest youth development event Involve 2018 is now LIVE! Early bird registrations have been extended until Friday 20th July to celebrate. 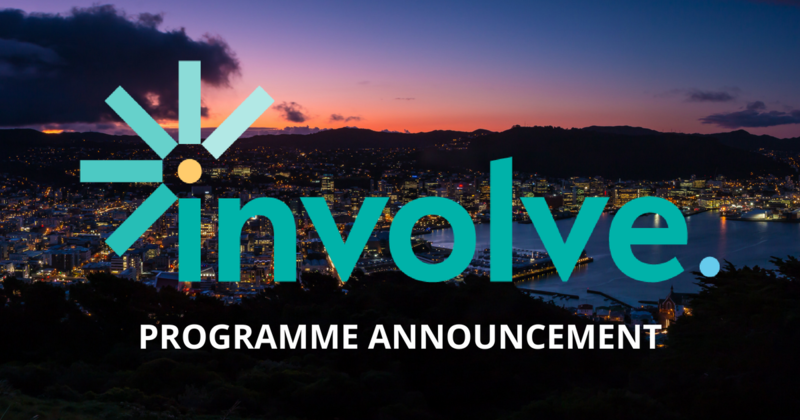 Next month's conference in Pōneke will bring together hundreds of youth development experts to share their skills and knowledge - don't miss out! Find out more about this Strengthening the Youth Sector Forum. Associate Professor Vanessa Cobham will provide an overview of childhood trauma and interventions for children and whanau who have experienced trauma. Get more information on this mental health training forum.